Once the home of the Romantic poet Lord Byron The Gardener’s Cottage was built in the 1860s by the Webb family and is positioned just a few minutes’ walk from the Abbey itself, nestled amongst mature trees and shrubs and overlooking the original Rose Garden. The cottage is a Grade II Listed Building which has being sensitively renovated to a very high standard, retaining many of the building’s original features, including wooden floorboards, floor tiles and beautiful stone mullion windows. ‘Before’ and ‘after’ photos of the cottage (see link to short film below) show the extent of disrepair prior to the renovation (the cottage had been empty and used for over 20 years), and the beautiful interior of the cottage now following the restoration work, perfect for holiday lets. 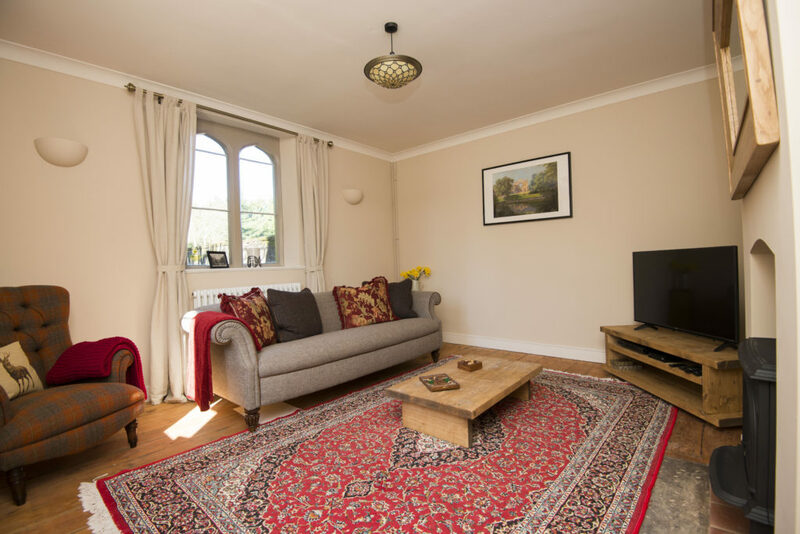 The Gardener’s Cottage is available to book for week-long, weekend and mid-week breaks and is perfect for visitors wishing to explore Nottinghamshire, as well as offering pre and post ceremony accommodation for happy couples who get married at Newstead Abbey. Income from hire of the cottage will support the sustainability of the Abbey, house and grounds for future generations. The heritage team (Woodhead Heritage) of empa ii partner, Robert Woodhead Limited restored two Grade II listed properties for Nottingham City Council. The conservation project has brought disused properties back to life and provided the Council with a new sustainable income stream which will help to boost tourism, increasing visitors from across the region and further afield. The cottage is listed on the Owner’s Direct website. Visitors can enjoy the extensive grounds of the historic Abbey, or on weekends explore the Abbey itself when it opens to the public, offering a glimpse into the life of its most famous resident Lord Byron and the other colourful characters who have called Newstead Abbey home over the centuries. Other nearby attractions include St Mary’s church in Hucknall, the final resting place of Lord Byron and his famous mathematician daughter Ada Lovelace; Papplewick Pumping Station; Patchings Art Centre; Wheelgate Theme Park; White Post Farm; Rufford Abbey Country Park and of course Sherwood Forest. And of course, the city of Nottingham is close by: home to some of the best shopping in the UK, an exciting cultural calendar and recognised nationally for the quality of its restaurants and bars. The cottage sleeps up to six people and has two double bedrooms, one with a kingsize bed and the other with a “zip and link” super king which can become two singles if required. Off the landing there is a family bathroom with bath and separate “drench” shower cubicle. Downstairs is a fully-equipped kitchen with all modern amenities plus a utility room housing a washer/dryer, along with a comfortable lounge and separate dining room with deluxe sofa bed. The cottage also benefits from its own private walled courtyard, perfect for an alfresco breakfast or relaxing with a glass of wine after a busy day sightseeing.